Italian brand Bluegrass Eagle first began testing its line of protective wear back in 2010, before officially coming to market a year later in 2011. 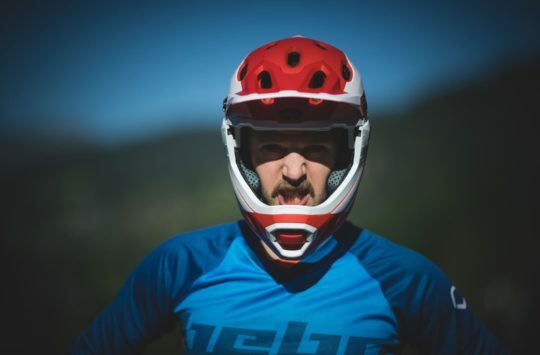 Owned and operated by MET, Bluegrass Eagle is the slightly more ‘rad’ brand in the building, emerging as a mountain bike protective wear label that offers helmets, gloves, knee pads and elbow pads, while also offering padded shorts, jerseys and vests. We’ve tested numerous Bluegrass Eagle helmets and pads before, but this was our first experience with the Crossbill. 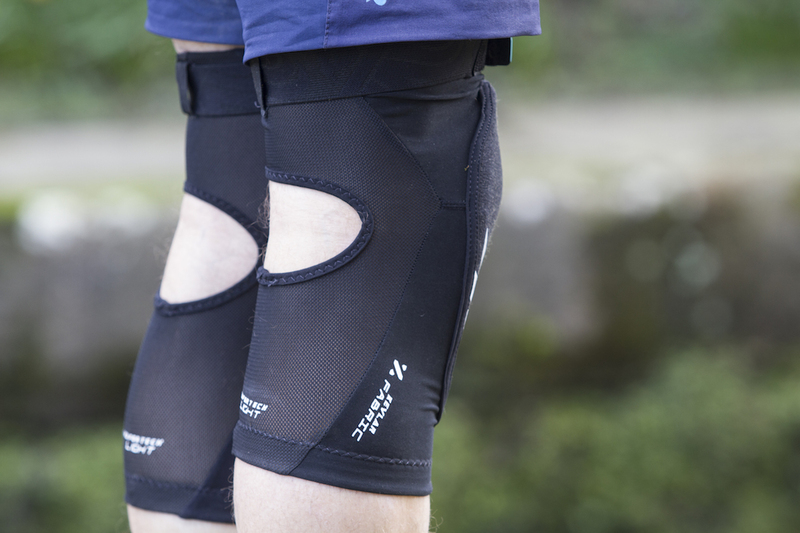 Available in both knee and elbow models, the Crossbill is the most lightweight knee pad on offer from Bluegrass Eagle. It joins the heavier duty Wapiti and Wapiti D30 knee pads, and it’s available in four sizes from Small through to X-Large. Bluegrass Eagle offers three different knee pad designs, with the Crossbill being its most lightweight option. “Guided by feedback from our athletes, we designed the Crossbill knee and elbow pads to fit like a second skin. From cycling newbies to enthusiastic mountain riders, if you are looking for a smart and simple protective guard, you’ve just found it! Free riding will be your only mission. 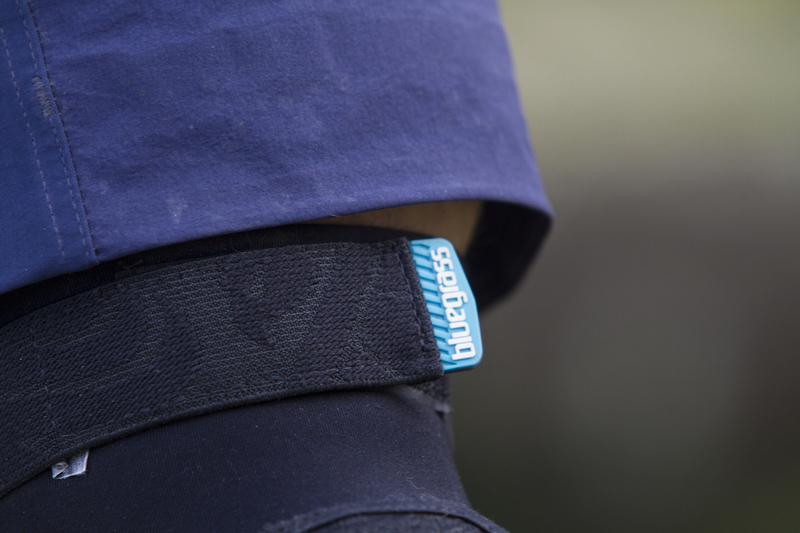 Our Crossbill slim protections are perfect for riding in all day. They have a sleek profile and are lightweight, ensuring the perfect balance between comfort and safety” – From Bluegrass Eagle. 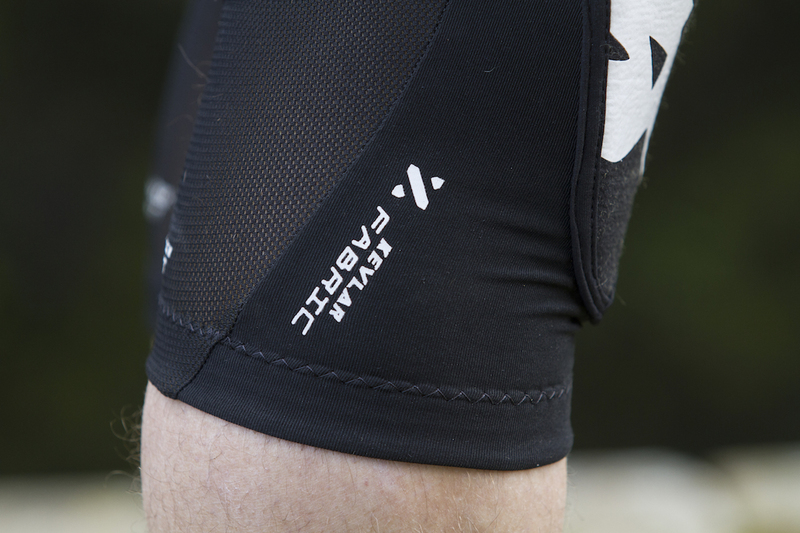 The Crossbill pads are built with lightweight mesh and Lycra, with a firm HDPE pad over the top of the kneecap. The Crossbill pads are elasticated at both ends of the mesh sleeve. 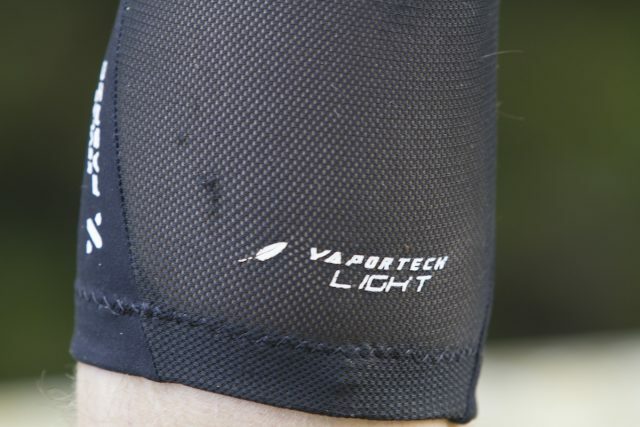 Much like the 661 Recon knee pads we also reviewed in our knee pad group test, the Crossbill knee pads use a lightweight fabric that Bluegrass Eagle refers to as ‘Vaportech Light’. This is basically a fancy name for ‘mesh and Lycra’. To help avoid the back of your knees turning into a dank swamp, the Crossbill pads feature a little window, and the mesh backing assists with keeping cool air passing over your legs as things start to warm up on a long climb. Comfort wise, the Crossbill pads are pretty good. They use a large velcro strap at the top of the pad, which helps to secure it down on your lower thigh. This strap is elasticated, but it’s still kinda firm – you don’t want to over-tighten it, otherwise you’ll find the strap will dig in to your skin more than necessary. Get the tension right, and the Crossbills stay steady. For the inside of both the top and bottom cuffs of the Crossbill knee pads you’ll find silicone gripper detail running around the entire circumference. This rubber texture helps to keep the pad from shifting around on bare skin, and it works exactly as intended – I rarely had any unwanted knee pad migration with the Crossbills. 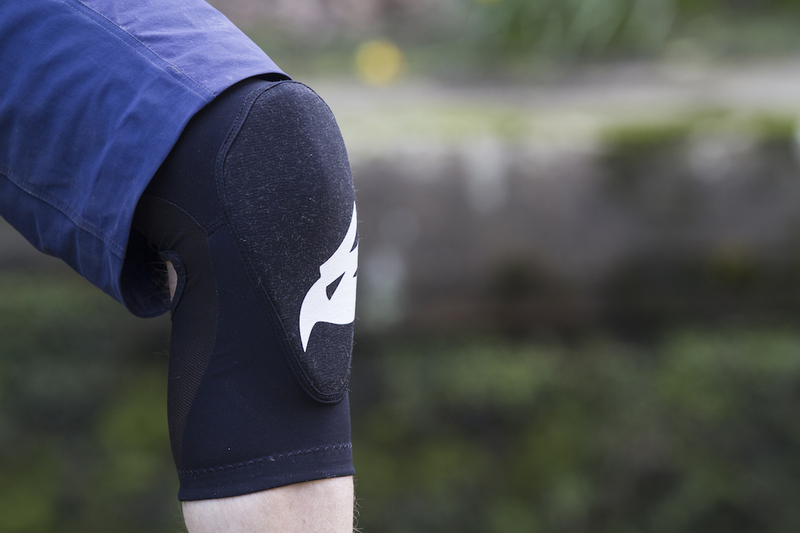 The lightweight construction allows the Crossbill knee pads to ‘disappear’ after the first 10 minutes of riding. 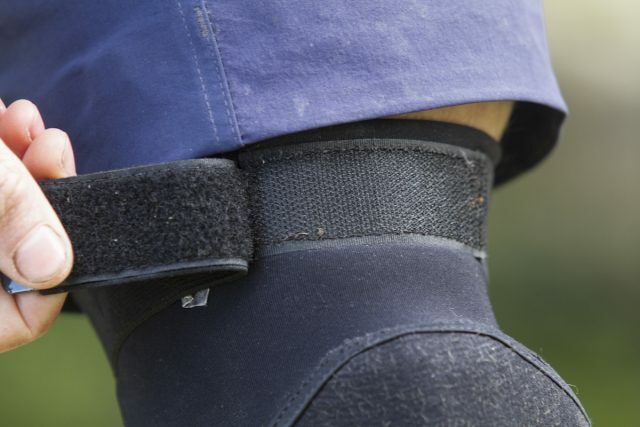 To provide a barrier between impact strikes and your delicate knee caps, the Crossbill pads utilise a protective plate that Bluegrass Eagle calls a “pre-curved 3D HDPE shell”. HDPE stands for High Density Poly Ethylene, which is basically a layer of thick, but lightweight memory foam. The pad kind of feels like a semi-ripe avocado when you squeeze it with your fingers, though unlike that tasty guacamole ingredient, the HDPE pad bounces back when you release it. The 3D pad is cut like a Saxon knight’s shield, with the a slight curve both vertically and laterally to help wrap it around your knee cap. While it doesn’t come around particular far on either side, the pad drops down about 1/3rd of the way down your shin for some extra protection of your bony bits. Breathability is good from the sleeve, but without perforations through the HDPE pad, the front of the knee does warm up on the climbs. Given that Bluegrass Eagle already makes more traditional style soft shell knee pads, the Crossbills have been added to the range to encourage new customers into the world of knee pads. 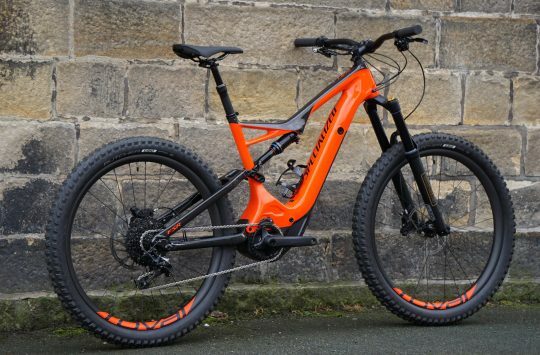 The sport of mountain biking has become so much more diverse over the past few years, and for those new riders trying it out for the first time, a pad like the Crossbill is a far less intimidating option than the hardshell knee pads of old. Just like the 661 Recons, the Crossbills are targeted towards people who wouldn’t normally wear knee pads. And given I would consistently forget I was wearing them beyond the first 10 minutes of riding, I’d say Bluegrass Eagle has ticked that box. In terms of protection though (as in, doing what a knee pad is meant to do) the Crossbills in all honesty aren’t that great. If you take a direct hit to the knee, the HDPE pad does well at absorbing the shock, and to be fair, it takes a lot more force than you’d expect of such a featherweight pad. But as soon as your impact is off-centre, the mesh fabric surrounding the pad is too stretchy, allowing the pad to slide off your knee cap to leave it fully exposed to abrasions and secondary impacts. 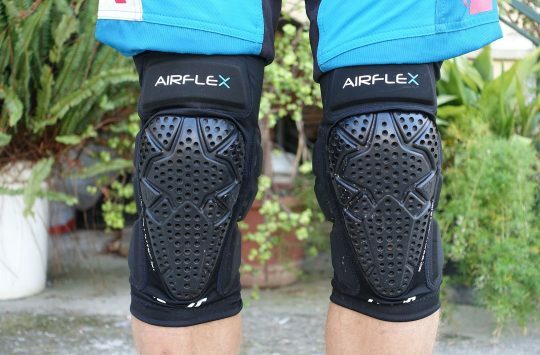 While the Crossbill knee pads aren’t alone in their tendency to slip around during a crash, I’d like to see either a more articulated pad that hugs the knee more securely, and some stiffer fabric to help avoid it from shifting around during trail slides. Unfortunately the uncompliant knee pad moves around too much during a crash that it renders them ineffective in many cases. While the Bluegrass Eagle Crossbill knee pads deliver on the claims of lightweight comfort, I’m afraid they fall short when it comes to the ergonomics of its protective padding. Admittedly Bluegrass Eagle hasn’t designed the Crossbills for faster and harder trail riders (that’s exactly what the excellent Wapiti D3O knee pads are for). Instead, these are designed to be for those riders who would prefer not to ride with knee pads at all. And for keeping your skin covered up from being whipped at by tree branches and the occasional thud into your frame’s top tube, they’ll do the job, just as Bluegrass Eagle has designed them to. However, the lack of articulation in the HDPE pad leaves enough to be desired that I would be inclined to recommend more flexible pads such as the Scott Soldier 2 or 661 Recon pads over these, or to go straight to the Wapiti D3O knee pads. 9 hot product highlights from SRAM, Formula, Bell & MET that you need to see!